Your business is growing. You need the ability to scale your phone system for the future, cut costs, and simplify your network across all locations. SIP Trunking is the combination of your voice, internet, and WAN traffic all over a single IP connection. This new industry standard unifies your phone and internet services across your entire organization.  You’ll see immediate service cost reductions, increased productivity, and enhanced network capacity. Your phone lines will never ring busy – ever. Utilize burstable capacity, which means you only pay for what you use. Should you need more lines during peak times, iTel can automatically burst your line capacity to handle increased call volumes. Create a virtual local presence for your business. SIP Trunking can produce local numbers in cities where you do not have a physical office. SIP Trunks eliminate the need for separate voice and data circuits. You’ll experience immediate savings by having all your traffic on a single connection. A lot of providers offer SIP Trunking for businesses, but no other telecommunications company can offer it the way we do. iTel is one of Canada’s largest virtual business network providers. If you have locations outside of major metropolitan areas, we can service them all. Our infrastructure resides in our private cloud in four Canadian data centres. Our core switch, the same used by Europe’s largest carriers is 4x redundant and capable of 5 million call setups every second. 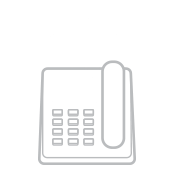 iTel SIP trunking is compatible with all popular IP-PBX systems, including systems from Aastra, Cisco, Mitel, and Microsoft Lync. Choose between unlimited, local, and pay-per-use channels all delivered on one easy-to-read bill for all your locations. Instead of charging by the seat/extension, we offer one flat fee, regardless of the number of extensions and mailboxes your business needs. Unlike competitors, iTel calculates SIP trunking fees based on averages rather than maximums. As a full-service provider, iTel offers value-added services to enhance your entire business network.  Add Managed Voice and/or data replication to your Fiber, ADSL or Cable connections and enjoy the benefits of a first-class communications network all delivered on one simple bill each month.